I have to admit, being a photographer is fun. I'm able to do what I love doing and share in other people's moments. Capturing those moments in people's lives that means so much to them is something that I treasure. Sharing those pictures with everyone is the obvious next step. My website galleries are for all to see and share, for some this is enough. 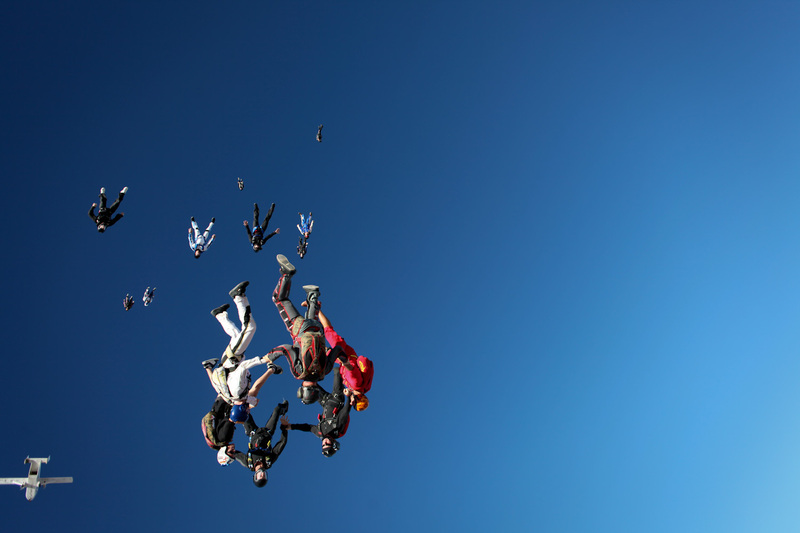 But I'd like to take a moment to dive into what it is that I sell and the finished products that I offer. The pictures are taken, they've been edited and now they're posted online. As with most photographers, I offer a range of different print sizes. These prints will be mailed to you directly from my vendor. 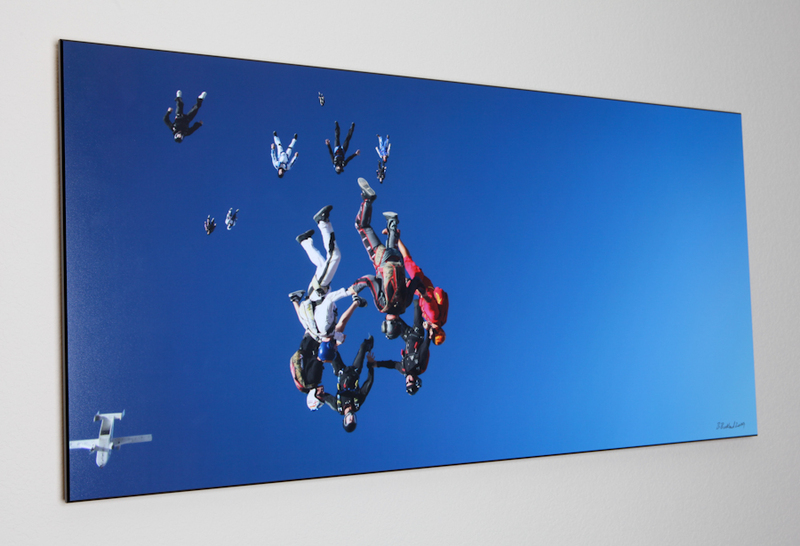 You can mount them and frame them as you wish making sure they fit nicely into your home or office. 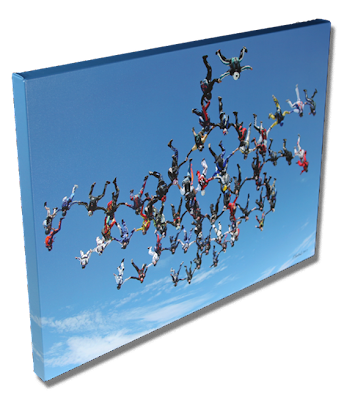 However if you'd allow me the privileged of creating a work of art for you, take a little closer look at my Gallery Wrapped Canvas Art and my Gallery Float Mounts. To start, both selections are personally signed, inspected and guaranteed to be free of any damage or defects upon arriving at your location. On the back, each will have my contact information as well as a description of the image, where it was taken, what camera was used and the camera settings. The vendors I use only sell to professional photographers. This is a key point because they know that not only will the actual photographer be scrutinizing their work, but so will the end client. With that knowledge, they deliver the highest possible quality they can. I've been selling the Gallery Wrapped Canvas Art for several years now. The frames I sell are 1.5" deep and can be almost any size up to 56" x 120". 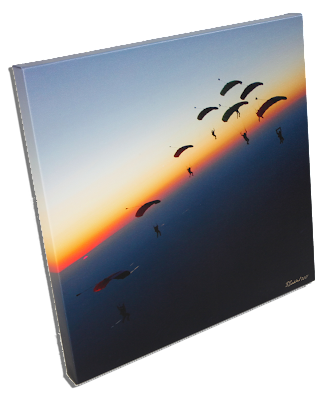 Using museum quality canvas, they are hand stretched so that the image continues naturally around the sides and are ready to hang on your wall when you receive them. Not only do they use archival quality inks, but they are sprayed with a UV coating for extra protection and won't fade or discolor for at least 100 years. The Gallery Float Mounts are a glass-free mounting process designed to enhance and protect photographs while providing a glare-free finish. This high quality process provides a distinctive new look that is durable and offers a greater degree of protection from moisture and harmful UV rays. The Gallery Float sits 3/4 of an inch away from the wall. Using a French Cleat Mount, it can easily be adjusted with little effort. Expertly Crafted - Prints are professionally mounted on MDF with a carefully formulated cold-press, UV Protective mounting adhesive and topped with a non-glare, protective crystal laminate. The edges are expertly beveled, sanded and finished with a high quality seal. Touchable and completely washable—grease, dust, dirt and moisture wipe right off with regular household glass cleaner (Ammonia Free Only). Into THIS Gallery Float. The difference is amazing! Another Gallery Float so you can see behind the actual art on the wall. If you're curious how it breaks down, here is a diagram of what a Gallery Float Mount is made of. To order Prints, Gallery Wrapped Canvas or Gallery Float Mounts directly from my website, just click on the image that you'd like to order and then select the size product that you'd like. If you're not sure what size to get, please don't hesitate to give me a call or send me a note through my contact page. There are many times that clients will end up ordering product sizes that I do not have listed on my website. Depending on how the aspect ratio of an image works out, some sizes may be better than others. For instance, the 138-Way shot of the recent World Record Skydive fits great in an aspect ratio of 3 : 5. 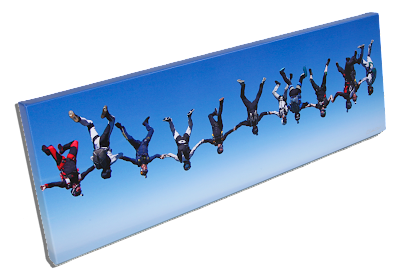 So many have ordered a 20" x 33" and even a 24" x 40". I can make almost any size, but most importantly is getting the right size for the shot. Thanks for taking a minute to learn about my products. I've always got my eyes on the latest ways to display my work, so the product line will keep expanding with time. If you have any specific requests, please let me know. 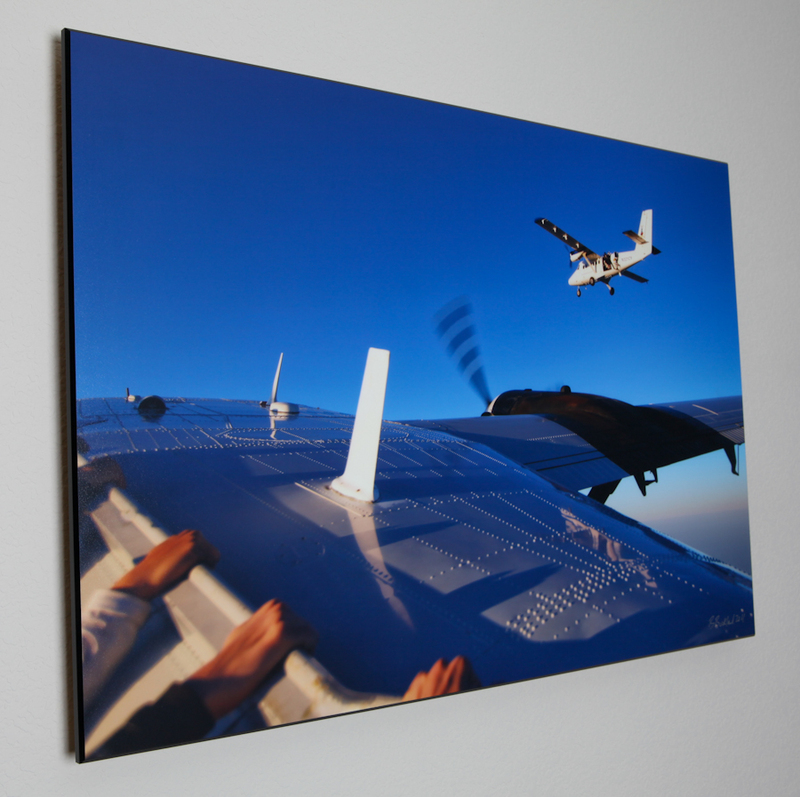 Canvas print always looks wonderful. It tends to add beauty and also tends to preserve memory. Thanks for sharing informative post. Canvas prints is a best part of the home improvement, it's a one of the kind thing to decorate home, you can place them into a home and observe your home seem attractive, and feeling so comfortable.